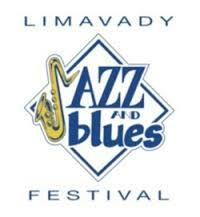 All the guys at air cool engineering (NI) Ltd are delighted to support Limavady's biggest event of the year - 'Limavady Jazz & Blues Festival'. The four day event at various venues in our lovely market town, certainly draws visitors from across the Borough, the province and beyond. Whichever evening you attend, it's always a great night's craic - so mark it in your diary!